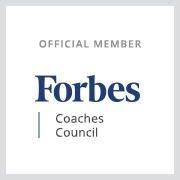 In my work with CEOs I’ve noticed a clear behavior that elevates the best ones: conviction, knowing what you stand for and demonstrating that every day. The concept is simple, but to act it is not. On a rainy night at O’Hare International Airport, I faced the choice of owning my own conviction in a small but powerful way. That night, no planes were landing or taking off, and I was one of thousands of travelers stranded. After countless tries, I finally found a hotel room, made my way to the shuttle, and waited. The downpour intensified, so when the bus finally arrived, everyone pushed and shoved and crammed wet bodies and luggage onboard. The bus jerked to a stop. People stared at me. I yelled again: “Move back! Do it!” Soaking wet and irritated by the inconvenience, people began to shuffle toward the back of the bus, revealing an opening that could easily accommodate at least two more. The elderly couple entered the bus, and two people quickly stood to vacate seats for them. Sure, the riders weren’t happy with the delay — but I strongly believe in treating others the way you’d want to be treated. While what I did was right by my standards, it was clear my act would not win me any popularity contests. Leadership rarely does. That was a long time ago, and it was one of the first times I realized I was a leader with conviction. We recently lost a leader whose conviction was unequivocal. Elie Wiesel was called “a messenger to mankind” by the Norwegian Nobel Committee. He was a Romanian Jew and a Holocaust survivor. In the U.S., he became a writer, professor, political activist and Nobel Laureate, who’s conviction for intolerance and injustice stemmed from the atrocities he witnessed in the concentration camps. To “never forget” is what he stood for. My mom is from Austria and my dad was German, and both escaped with their parents, but very few other relatives made it out of Europe. To me, Wiesel worked for my family and all the families who lost aunts, uncles, fathers, mothers and grandparents at the hands of the Nazis. His purpose was to make sure these people, both victims and survivors, were not forgotten. Clarity comes from self-awareness and from understanding what are the very few things that matter most — the things you’re willing to fight for. We may not always win the fight, but a leader must use his or her voice, power and influence to try. As leaders, part of our job is to inspire confidence in others to express their point of view. If we want to work collectively with people who have the confidence to be decisive, who will constructively disagree and confront difficult situations, show leadership by listening, by asking good questions, and by challenging the thinking of others to draw out their conviction. There are few things a leader can do that have more impact than showing gratitude. Yet, so many leaders colossally fail because they’re too busy or too focused on other things. It takes very little effort to say thank you, to give credit, or show appreciation. The best leaders do it frequently, and it pays dividends. 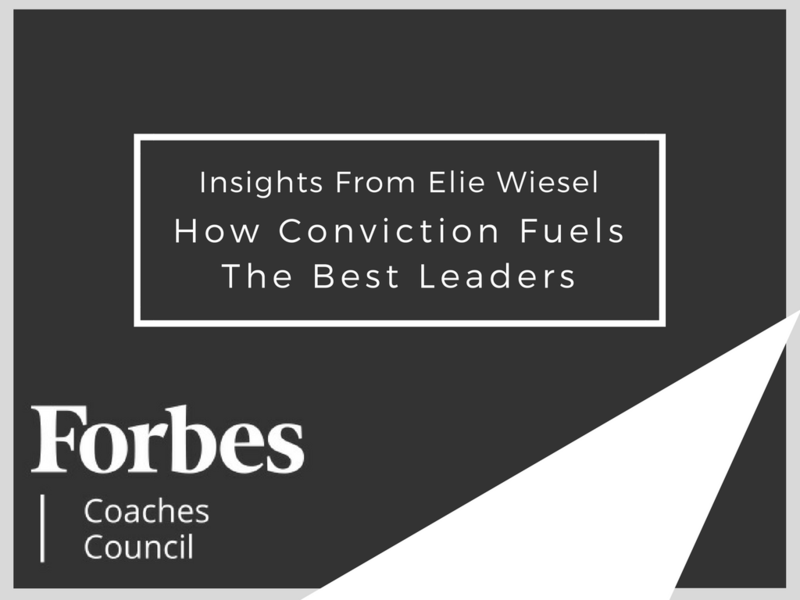 Elie Wiesel was a man of clear conviction, and there is much to be learned from a life lived with such purpose. As a leader or aspiring leader, I challenge you to define what you stand for and decide how you will show it every day using clarity, conviction and gratitude.